That sea of sound, of profound melancholic drones and waves gets its monument with the Power Romantic trilogy in which Troum show their skill in harmony, but not only. Drones and harmony still reign but a clear way is designed for melody and rhythms (as it already was in Tjukurrpa pt. 3). The oceanic feeling is fueled by new movements, like a storm upon and under the fluid. Mare Morphosis, pt. 3 of the Power Romantic trilogy, opens as the very building of a Sunken Cathedral, with heavy rhythms like stone columns gently embraced by subtle sharpened melodic phrases. The whole soundscape navigates then by the tide and lets the strong motion of sound rumbling and driving to surface the heavy layers of undercurrents, bringing up to light their deep melancholic germ of melody. 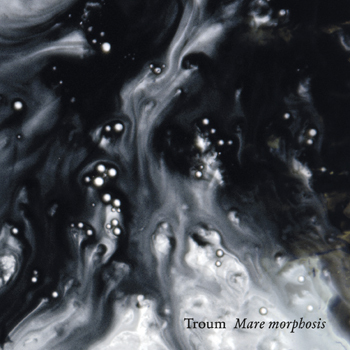 Mare Morphosis definitely gives Troum’s music a new dimension, reflecting ancient waves, amplifying the power of Sensucht, drumming the drowning heart.